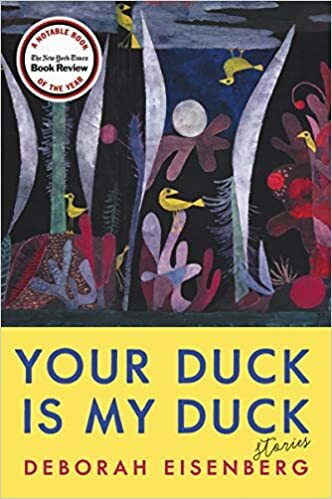 Your Duck Is My Duck: Stories – loudlatinlaughing – Euge! Euge! I liked the first two stories but then either my mood changed or the book’s equilibrium shifted or something else but I couldn’t muster enthusiasm for the final four. Strongest (as always!) is the first one, the eponymous story, where an artist lucks into a vacation home when a rich couple buy one of her paintings from a friend, she spends the summer daydreaming and gazing out at the landscape and trying to avoid being the entertainment for the other guests. Taj Mahal was a sweet story about a group of oldsters who get together to gossip about the gossipy biography they were all just mentioned in. Next Next post: The Mastermind: Drugs. Empire. Murder. Betrayal.